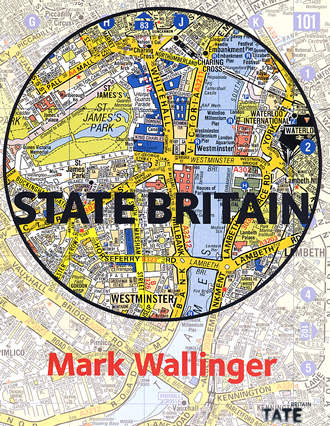 Artist Mark Wallinger has given voice to the deep unease about the loss of democratic rights in Britain. 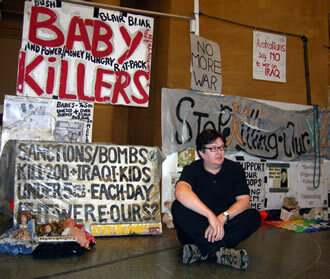 He has made a faithful recreation of lone protester Brian Haw’s five and a half-year, one-person peace picket outside the Houses of Parliament. 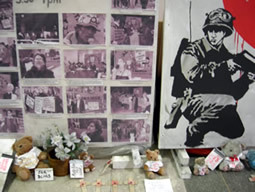 Last May, 78 police officers descended on Haw, arrested him and reduced his parade of placards, banners, teddy bears and photographs to a mere three by two metre space. The raid was conducted under the newly-passed Serious Organised Crime and Police Act (SOCPA), which prohibits unauthorised demonstrations, of any duration and size within a one kilometre radius of Parliament Square. 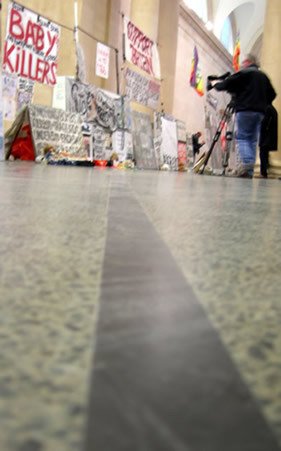 Wallinger’s 400-metre long installation is in the grand Duveen Galleries in the centre of Tate Britain. 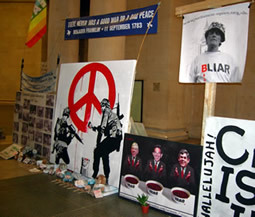 Haw’s protest has become a collective artwork, bringing together pieces by political groups like Global Women’s Strike and Indymedia with artists such as Banksy and Leon Kuhn. The posters and flags have been specially made to re-capture the weather-beaten grubbiness they acquired over their months out of doors. Haw is the last person in Britain to be allowed to protest outside parliament and his case goes back into court on 22 January.